A FRESH call has been made for the Norröna ferry to stop off in Shetland again on its routes connecting Denmark with Faroe and Iceland. Shetland Islands Council transport committee chairman Ryan Thomson said with a Faroe trade envoy due to visit the isles in the coming weeks, the time is right to re-open discussions with operator Smyril Line about reinstating Lerwick in its timetable. Council chief executive Maggie Sandison suggested the Norröna could link into an Arctic Strategy being explored by the Scottish Government to improve connections with countries to the north of Scotland. Shetland Islands Council, through the then Shetland Development Trust, invested over £4 million in the ferry in 2002, bringing a direct link with Scandinavia including Bergen. But in 2007 Shetland was struck off the schedule, and the Norröna continuing to closely pass by the isles on its journeys has somewhat rubbed salt into the wounds. Faroe delegates are visiting Shetland in early November and communications – including interest from the state-owned Faroese Telecom in bringing fibre broadband and 5G to Unst ahead of its proposed spaceport – will form a major part of discussions. But Thomson, who also chairs the isles’ external transport forum, said Shetland’s increased tourism profile merits reopening discussions over the Norröna stopping off in Lerwick again. It is thought that when the Norröna was calling at Shetland a few times a week there was an annual boost of around £6 million to the local economy. Questions had been raised over whether the original investment proved to be worthwhile, but the council is now receiving positive returns, with officers stating in 2015 that it had delivered a pre-tax divided of £137,000 that year. “Tourism in Shetland is booming with recent figures suggesting an increase in footfall of around 43 per cent in recent years,” Thomson said. 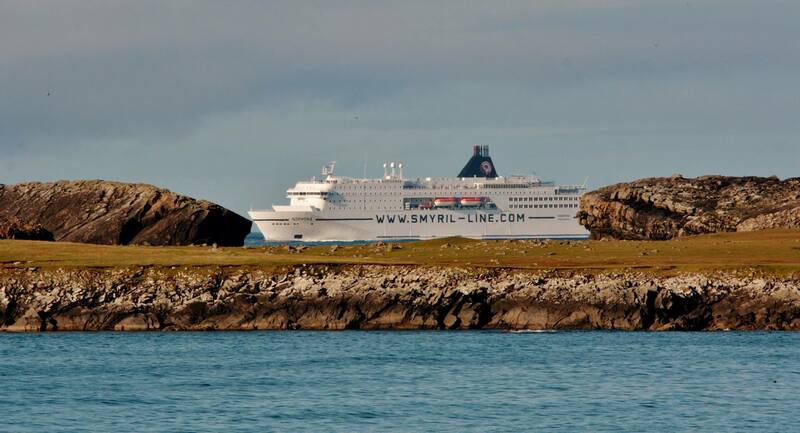 “Of course the increase in tourism and cruise ship numbers is great news for Shetland’s economy, and if ever there has been an appropriate time to re-open discussions with Smyril Line regarding the possibility of returning to Shetland, it’s now. Sandison said the council was recently approached by the Scottish Government to be involved in its new Arctic Strategy, with transport links featuring in discussions. “The purpose of this is that the Scottish Government recognises opportunities for improving links – so that’s communication links, transport links, trade, tourism, education access – so how do we engage with our neighbours in a different way rather than always looking to the rest of the UK? “We were really delighted that the Scottish Government has approached us to be part of that process, and clearly anything that will contribute to supporting our economy, as well as the Scottish economy, will be beneficial for us. “I think we would be absolutely delighted to see better transportation links to Shetland from anywhere, so certainly we would be keen to include in our discussions with the government about the opportunities for better transportation. “The Norröna would be the obvious connection, but I think that is part of the discussion about the strategy – where are the opportunities and how does Shetland feed into those opportunities. We’re certainly having those discussions with the Scottish Government. Other organisations with a stake in the Norröna include Faroese Development Trust and the Faroese Government. The boat has weekly departures from Hirtshals in Denmark to Tórshavn in Faroe, before it heads on to Seyðisfjørður, Iceland and returns back on the same route. The old Norröna ship was replaced by a new vessel in 2003.